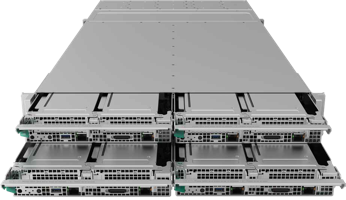 XENON launches RADON Duo R4895 Quad2U server platform featuring the new Intel® Xeon® Platinum 9200 series processors (formerly called Cascade Lake AP) with up to 56cores and 12 memory channels per socket. This server is ideal for use in High Performance Computing and Artificial Intelligence applications. Designed for Intel® Xeon® Platinum 9200 series processors, with up to 24 DDR4 DIMM slots per compute module, the RADON Duo R4895 Quad2U server platform maximizes processor and memory bandwidth to provide leadership performance for the most demanding compute use requirements. For more information contact info@xenon.com.au.